This user has been on UESPWiki for 7 years and 10 months. This user is a Spellsword. This User has been attacked by six Cliff Racers at once. This user misses his Colovian Fur Helm. This User owns and is accumulating knowledge on Skyrim. This has all happened before and will happen again. I've been playing TES since morrowind and been using The Unofficial Elder Scrolls Pages since before it was updated to what it is today. I've been passively editing The Unoffical pages for a few years and as soon as TESV is realease I'll probably be alot more active. I told myself I would not join until TES V. Guess what? It's coming out, and Skyrim none the less! I've wanted to go there since 2004. 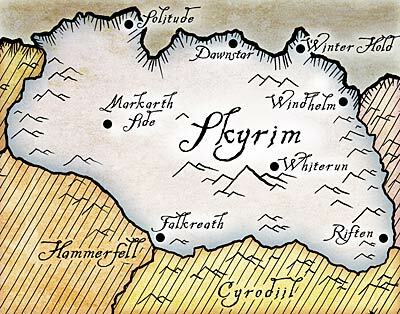 My favorite provinces are Skyrim and Elsweyr. I know all the lore of the khajiit and think it is almost as cool as the nordic lore. The reason I like nordic lore would be because I am incredibly familiar with Norse mythology. They are fairly similar, although not overly so, and it is obvious the nords are based on the Norse. I love mythology and no other game like the TES has such indepth, it even has false mythology which makes it even more interesting. Bethesda just rocks, Morrowind, Oblivion, Fallout 3, Fallout New Vegas, I have them all (though New Vegas was not as good because it was co-produced). I believe that all the undying Deadric lords are lying and underhanded, even the "good" ones. If Lorkhan sacrificed his heart and body to create Nirn like some texts say he would be a benevolent being, however it is also said that he was rent apart against his will by the Deadric lords so they could fashion the world out of him. In that case not only is Lorkhan disreputable but so are the Daedric gods for tearing him asunder. I thought, especially after Morrowind, Azura could be trusted but it was shown in the book The Infernal City that she is just as devious as all the others. The only Daedric lords that you can rely on are the evil one and all you can count on them for is doing evil. This page was last modified on 9 November 2018, at 12:49.